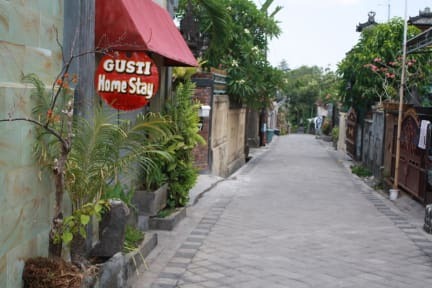 We are Located in a peaceful neighbourhood street in Seminyak and Canggu, you will find that we have everything you need for a memorable and comfortable stay in Bali. We have private bedrooms or an 8 bed mixed dorms available all with air conditioning and free fast WIFI. We have a kitchen/common room area where free delicious breakfast is served everyday between 8am and 11am and is also a nice place to relax or do some work. We provide free drinking water, a communal fridge/freezer and kitchen area to use and cook your own food. Cold beer is also available at your convenience! We have an 8 bed mixed dorm that has an ensuite bathroom with safe lockers for your belongings. It is air conditioned and the dorm is cleaned daily. We have five private bedrooms with queen-size comfortable beds, air conditioning, ensuite bathrooms, TV with international channels and a DVD player. 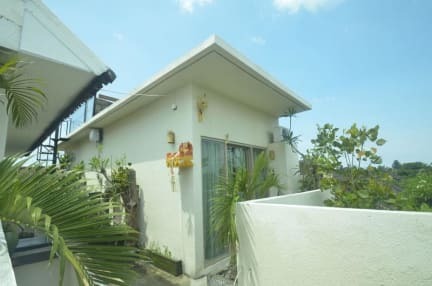 Reception is on 1st floor where motorbike rental can be arranged extremely quickly and for a very reasonable price.We can also advise you on good restaurants, local food markets and things to do in the area. If you have any questions please find me at reception. We have a sun terrace available for you to catch some rays, to do some yoga and meditation or to drink beer and enjoy the view! Please take a look at our photos! We offer a delicious menu of fresh home cooked meals in the evening. We can arrange transport to Ubud every Monday, Wednesday, Friday at a very reasonable price. We also provide authentic Balinese cooking classes. How can people contact gusti?